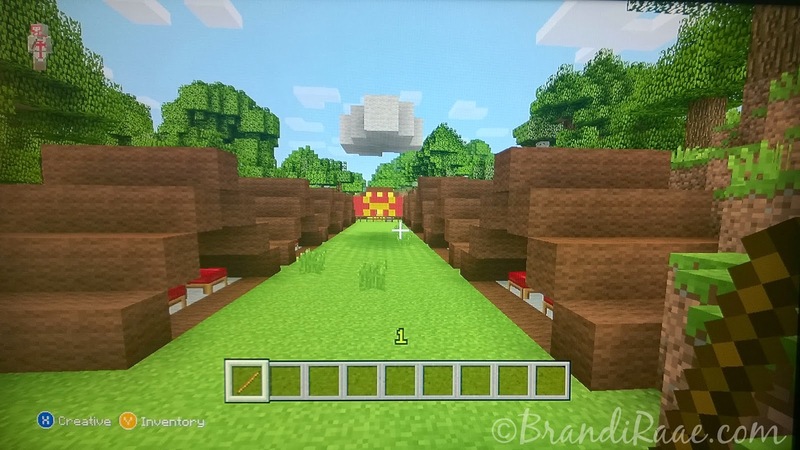 * Lincoln designed a Minecraft Valentine garden for me complete with a rose-lined walkway which leads to a ginormous M&M character. I thought it was VERY sweet! 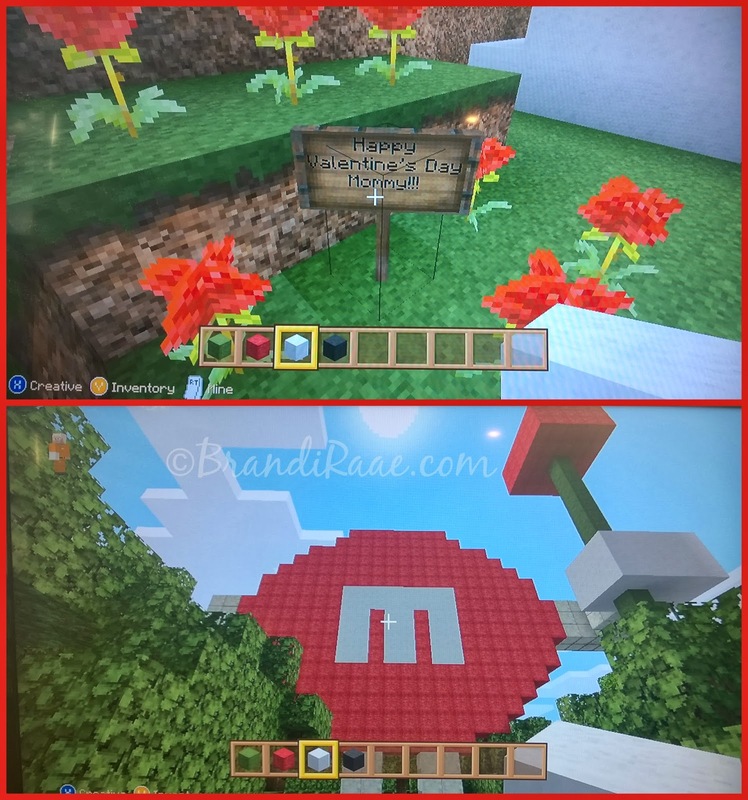 * Lincoln and Shiloh were inspired by their Minecraft gardens to plant real ones. They said, "We want to plant real seeds and harvest a real garden!" Fine by me. So, on Valentine's Day they planted pea seeds. 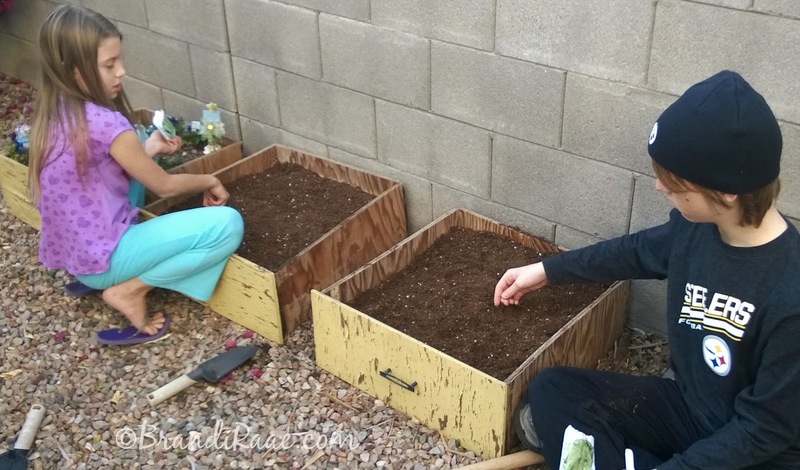 They are in charge of their own little garden boxes (old dresser drawers) and have to water and take care of them. 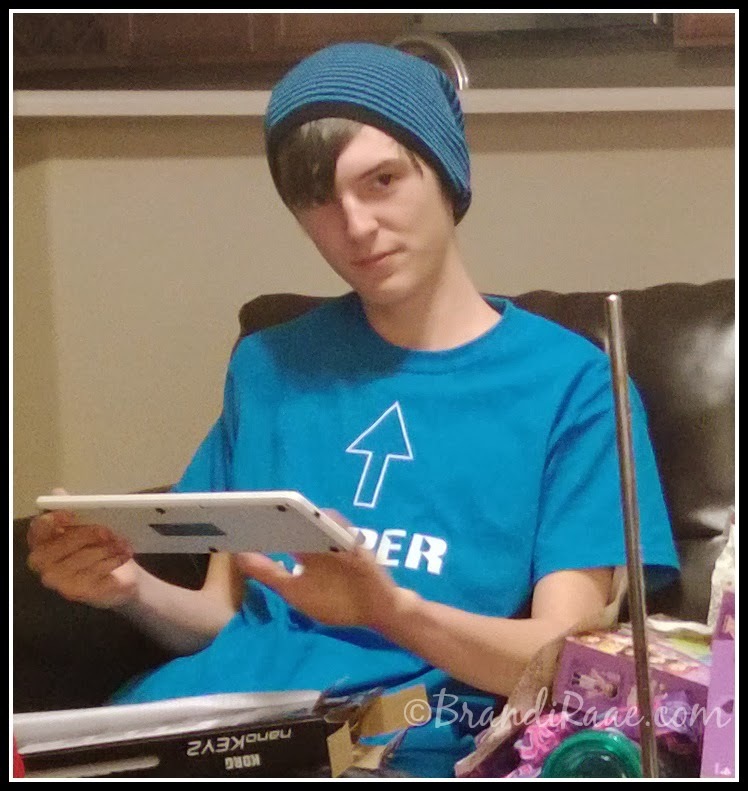 * Minecraft has even helped us during Bible study. My kids were able to give me the low down on Lapis Lazuli when we came across this term while reading Job. (Job 28:6) I knew it was something you mined but wasn't exactly sure what it looked like. I was quite impressed with the accuracy of my kids' description of this beautiful stone. * Lincoln decided to recreate the Israelite camp in his world after reading the Biblical account. This is wonderful to me because it's what I call sneaky education. It's educational without my kids really knowing it is. Because anything fun can't possible be educational. This is the Israelite camp. On the sides are the tents complete with little beds, the cloud is hovering above the tents, and the tabernacle is at the end. 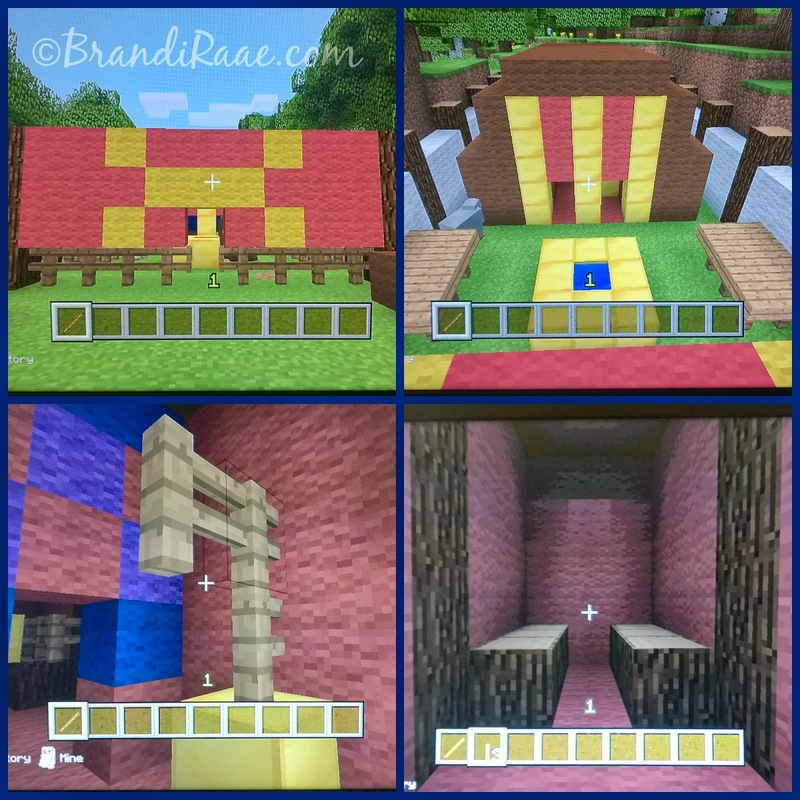 I loved that Lincoln looked up the tabernacle to see what it really looked like in order to try and replicate it the best he could with Minecraft materials. So, here we have the inside of the tabernacle: (from left to right starting at the top) entrance, aerial view, lampstand, and I believe the Holy of Holies. He had the ark on it but destroyed it. I don't think he was happy with the way it looked. In the above video, Lincoln demonstrates his "manna machine." He pulls a lever and out pops manna and quail. Hard to see it fall from the sky, but it does. Then, he collects it off the ground. 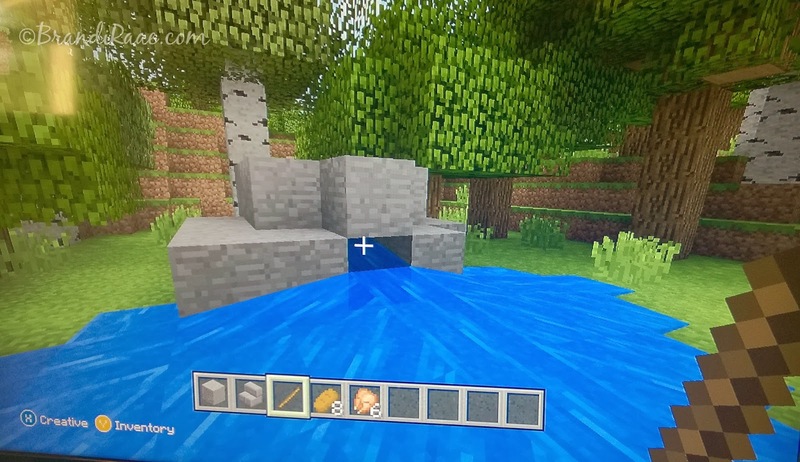 Gotta love the Minecraft creativity. Beats a paper-box-glue-scissors craft any day. No mess! And all the moms cheered, "Yea!" 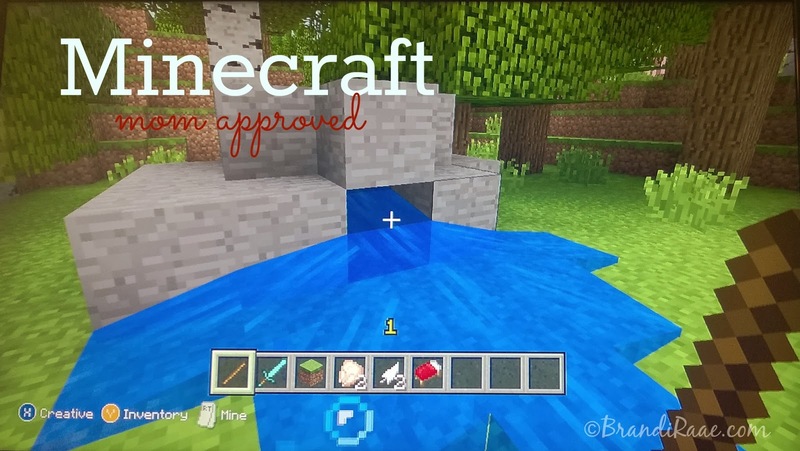 Minecraft on children, Minecraft on . . .
Are you interested in having your young children take piano lessons? If you're like me and don't have the skills to teach them yourself or the funds to hire a piano teacher, stay tuned to hear all about KinderBach™! 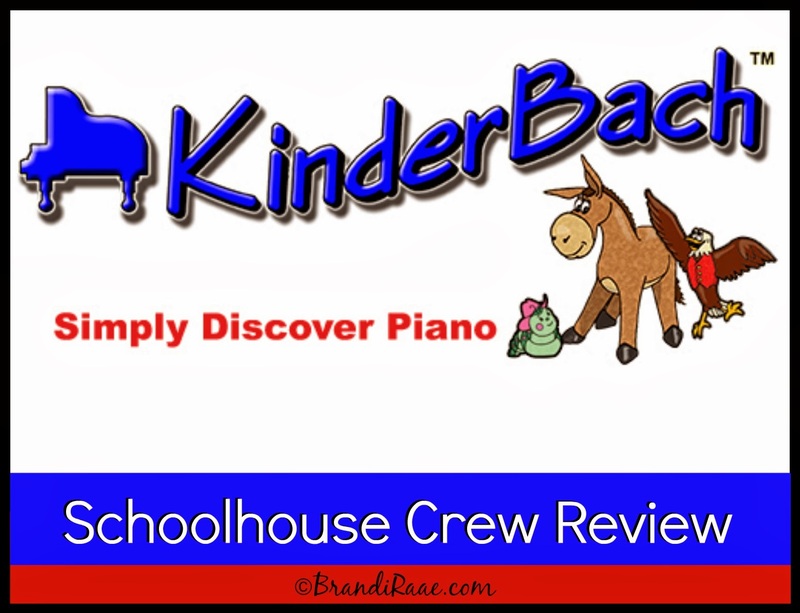 My daughter and I received a six month subscription for The KinderBach™ Online Piano Lesson Membership with Teacher Corner. 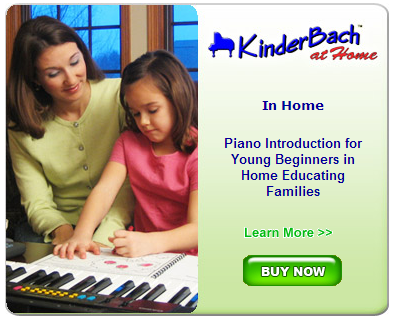 KinderBach™ is a music curriculum developed by Karri Gregor for children ages 3-7. Children learn to play the piano while acquiring a general music foundation. Through child friendly characters, Miss Karri teaches basic concepts such as music vocabulary, music theory, physical technique, note reading, rhythm, singing, and music composition. With membership, you have access to 6 levels of music education taught by Miss Karri through web video lessons. There are 10 weeks of lessons per level, and there are 4 video sessions per week. So, that's a total of 60 weeks and 240 sessions which gives children about 22 hours of instruction! You can conveniently watch these lessons on your computer, iPad, Kindle Fire, Nook, or Android Tablet. You also have access to all of the downloadable activity pages (in PDF format) that accompany each lesson plus online extras such as coloring pages, story books, and song books. 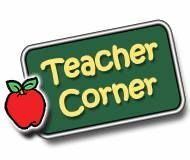 Finally, you have access to Teacher Corner. This is the place where you can download lesson plan books, teacher aid books, student books, and audio MP3s for the first 5 levels. Level 6 says "coming soon." Level 1 has a couple of extras: Level 1 Goal Book and Level 1 Certificates. This feature is really great if you are planning to teach a group of students. If you are only using the program for one child like me, you can conveniently print student worksheets from the student book as you work through the lessons. So, How Much Does a Membership Cost? 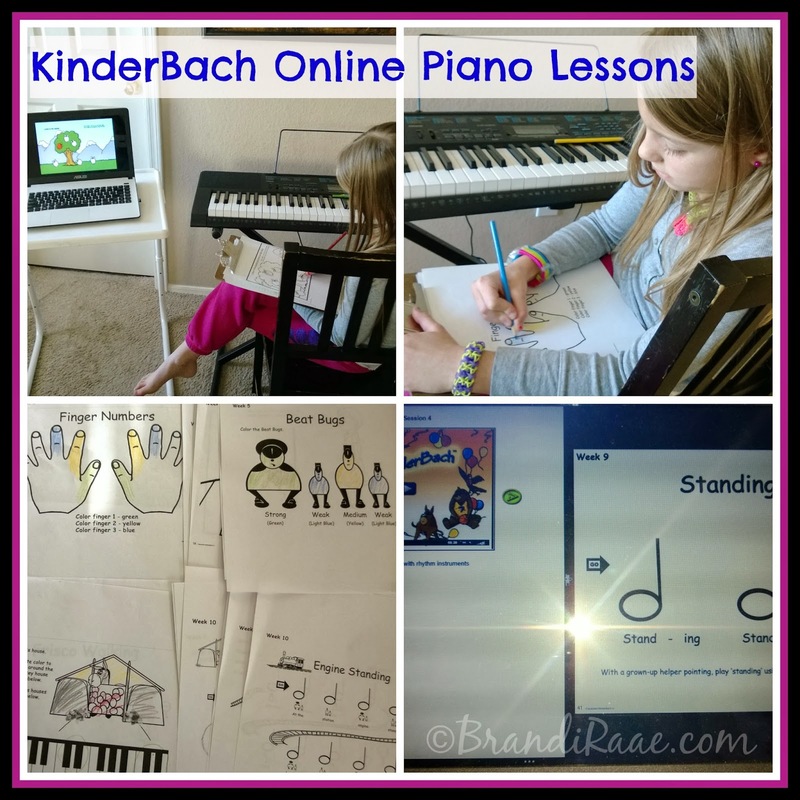 Surprisingly, the KinderBach™ Online Piano Lesson Membership is pretty budget friendly - definitely less expensive than private lessons. Right now for a limited time, you can purchase a one-year membership for $95.88. That's just $7.99 per month! Usually, it costs $130 per year. What's more? You get to try before you buy! You can view the first 2 weeks free of charge. The free lessons will be sent to you by email. I signed up before I actually received my membership. It's super easy. 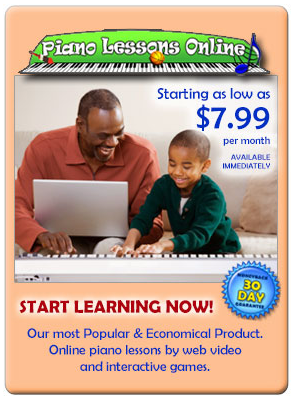 Once you log in to your account, you can begin your online piano lessons. Each week begins with an introduction in which Miss Karri lets you know what you and your child will learn and the supplies (besides a computer and a keyboard or piano) you will need. Most of the time, the supplies are simple, everyday items such as crayons and rhythm instruments. Sometimes your child will need scissors and glue, too. Rhythm instruments don't have to be anything fancy just so long as your child can use something to keep a beat. We often use colored pencils as our rhythm instruments. When you've gathered all of your supplies, you can hit play. Miss Karri enthusiastically teaches in brief chunks - perfect for young ones! Sessions in Level 1 seem to run for about 5 minutes or less. Miss Karri creatively instructs children through the use of likeable characters, Frisco and his Piano Pals. 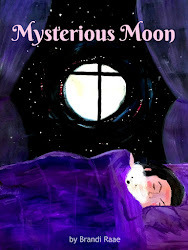 Basically, she has created an imaginary world in which the piano keyboard is home to Frisco's toy animals: Dodi the Donkey, Clara the Caterpillar, Edward the Eagle, Felicity the Frog, Gracie the Gorilla, Alan the Alligator, and Bob the Bear. Your young child can learn and remember the notes on the keyboard by associating them with these fun characters. All of these characters have their own personalities and unique background stories, and each one corresponds to a note on the piano. Focusing on one character/note at a time helps keep young children from getting too overwhelmed. Other entertaining characters that tell stories, play games, and reinforce concepts are the Beat Bugs, Football Fingers, Bruno, Miss Diddle, Jake (a real Golden Retriever), and more. Each level comes with a downloadable activity book. These books can be printed all at once or one page at a time. Before each session starts, you can click on the printer icon and print the activity page needed for that particular session. 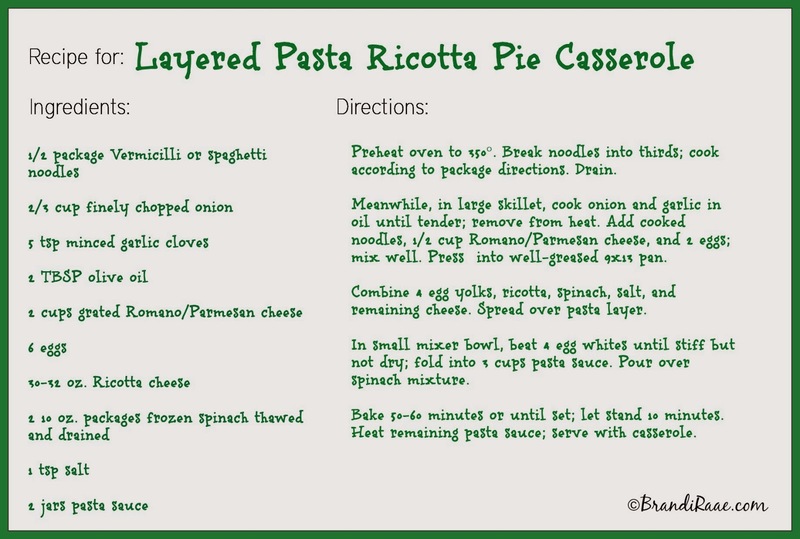 Worksheets are interactive and are designed to be used during the lesson. Well, my daughter didn't waste any time getting started since she is really eager to learn how to play the piano! She'd had her brother's old keyboard in her room for a few months but asked me to take it out before Christmas to make room for other things. She didn't have a way to learn how to play the piano yet, so the keyboard was just taking up space and collecting dust. So under my bed it went. But, it didn't stay there long due to the opportunity to review this program. :) So out the keyboard came. And now I have it set up in my room which is currently where she is taking her online piano lessons. Because of my daughter's age (she's 8), she's been able to move at a pretty fast pace. Most of the time, she completes a week's worth of lessons in one day. Since we do music Monday - Thursday, she usually gets through 4 weeks in 1 week. During Level 1, I had her watch each lesson in its entirety and complete most of the activity pages even though much of the material is better suited to younger children. I wanted to make sure we didn't miss any foundational instruction that she'd need down the road. Once we moved on to Level 2, I let her skip much of the repeated instruction and coloring activities. Repetition and coloring are great for little ones, but I could tell it was frustrating my daughter. I even stopped printing most of the worksheets and instead pulled them up on my laptop so the activity page and video lesson were side by side. I did print song pages and pages with notes that she could practice in between lessons like the one pictured below. How to play "Hot Cross Buns" and part of "Mary Had a Little Lamb"
I do want to stress that this program is tailored to very young children. After going through all of levels 1 and 2 and part of level 3, I would personally recommend it for children in preschool through first grade at the most even though the suggested age range is for children 3-7. My daughter is 8 and in third grade, and even though she's a beginner piano player, she really needs something a bit more challenging to keep her interested. We now skip through a lot of the videos that repeat simple concepts, and my daughter doesn't do the coloring/gluing activity pages anymore. Having said that, though, there are some features of KinderBach™ that my daughter really likes. She likes story time when Miss Karri introduces new characters, the Beat Bugs, and especially the opportunity to play the piano. One aspect of the program that I think is neat is composition. Children are able to compose their own songs by cutting out note patterns using the notes they've learned. They can arrange the note patterns however they want to create their "own song." For beginners, this is a great exercise for practicing eye/hand coordination. Plus, it boosts confidence and makes them feel like they are really accomplishing something! The following very brief video shows my daughter demonstrating composition. Before I close, I would like to point out that every so often, we had issues with sound quality and video quality. Sometimes, I had to turn up the volume all the way in order to hear Miss Karri clearly, and when I enlarged the videos to full screen, they appeared a little blurry. These issues are pretty minor, and I still think it's a good program. 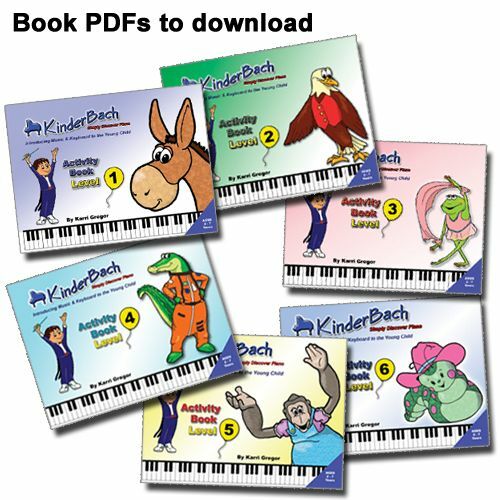 If you do have children in preschool through first grade, KinderBach™ is a super fun option for introducing them to music while learning to play the piano. Remember: lessons are brief, they integrate simple coloring and gluing activities, and include lots of repetition. It's a stress free program for both parents and little kids! If you'd like to learn more about how this program works at home, you can watch a short video on the website. And don't forget to sign up for the first 2 weeks free of charge! Mark had the chance to preach again when our pastor was in Israel. He decided to follow-up on his previous message, What Does It Mean to Follow Jesus? 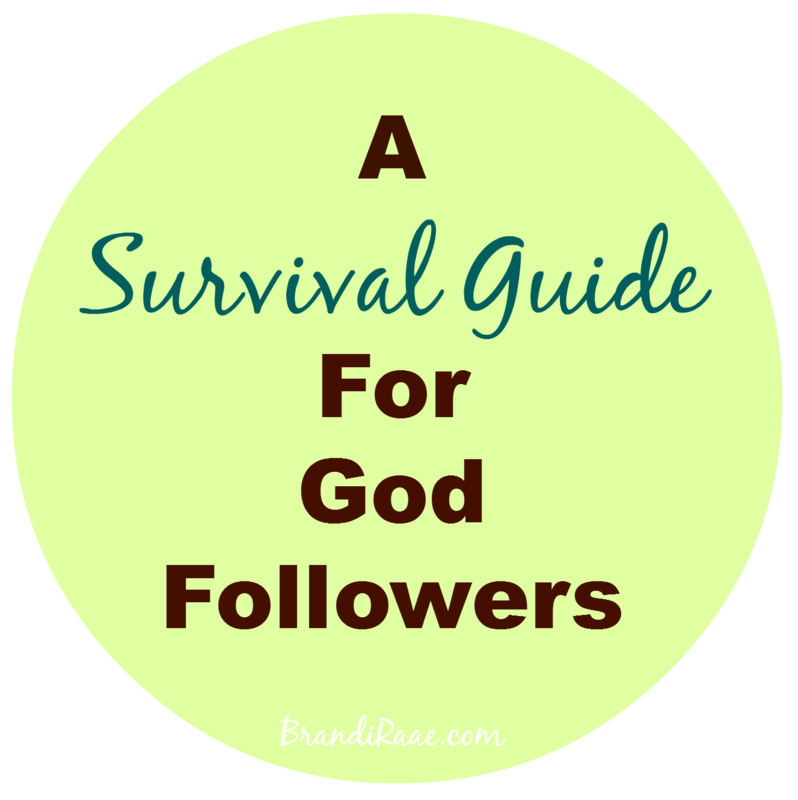 If you listened to that already, you won't want to miss his sermon titled, A Survival Guide For God Followers! He loves the opportunity to share God's Word plus it gives him the chance to use his history degree and to tell corny funny jokes. ;) So, if you've ever wondered what a large pizza and someone who has a history degree have in common, you'll have to click the above link and listen. Our congregation had the benefit of seeing mummies (not the kind wrapped in white cloth strips, mind you) of the very pharaohs mentioned in Exodus 14. It was pretty neat! Here's one of the images he used - it's of Amenhotep II. Staying in love is a whole different story. Why is staying in love harder than falling in love? Well, I am no love expert, but I think it might have something to do with the fact that we base love on our feelings. Good feelings. Butterfly feelings. Romantic feelings. And if we're not feeling these feelings anymore, we conclude that we must not be in love anymore. And then we believe the lie from the pit that we deserve better. That God would want us to be happy. Covenants are no longer taken seriously. Till death do us part means nothing, and we divorce due to irreconcilable differences. Instead of mending what's broken, we discard those we pledged to love in sickness and in health, for richer or for poorer. And then we move on to something new. Something we think we deserve. Something that gives us good feelings. Butterfly feelings. Romantic feelings. Selfish love at its finest. I don't think God wants us to be miserable, in fact, based on His Word, I can say that I know He desires for us to be content, thankful, and joyful no matter what our circumstances may be. Most of us really don't want to put in the extra effort to stay in love though, and we really don't want what God wants. We want what we want. I am not discounting that there are legitimate, Biblical reasons for getting divorced, and we can't control our spouses. However, statistics are far too out of whack even in the Christian community. Sadly, something is very wrong. Another reason it's hard to stay in love is because maybe we weren't even "in love" in the first place. I think it's safe to assume that the world has no idea of what real love even is. Many mistake lust for love. I think there are WAY more people who are in lust instead of in love. You find someone attractive. They make you feel all fluttery inside. Your needs and your wants are being met at the moment. Boom! You must be in love. Love involves considering others interests above your own interests. This. Is. Hard. Especially after you say, "I do." I am naturally selfish. 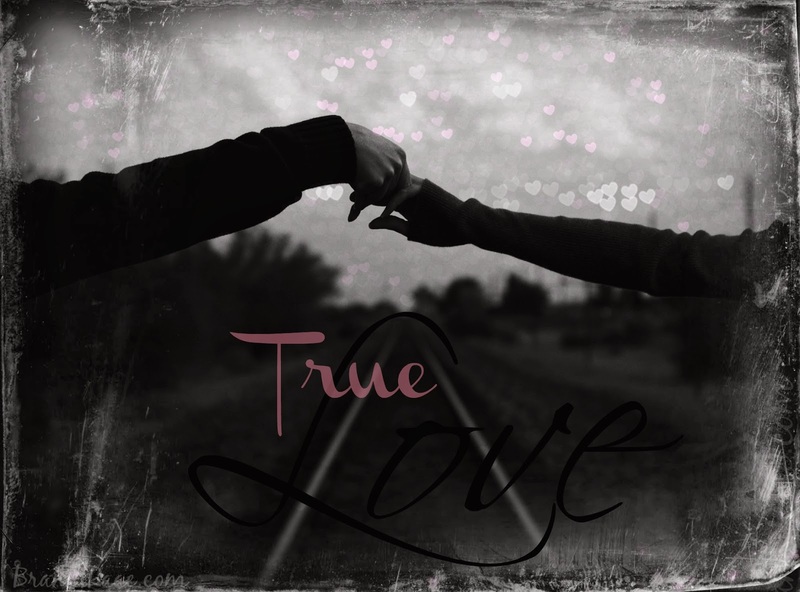 True love does not come naturally. I need supernatural intervention. 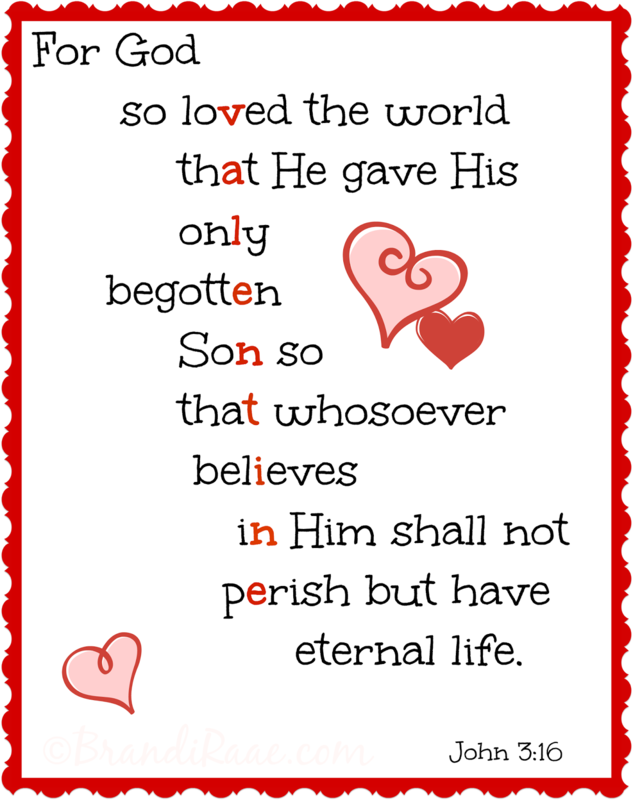 What is true love according to God's Word? 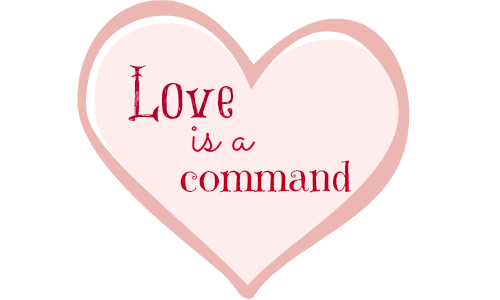 To truly love is to choose to obey God's commands. We must choose to love even when we don't feel like loving. Selfless love at its finest. Of course there are tons more verses about love. This list is barely the tip of the iceberg. The Bible is the place to go to find out about true love and what it means. The world is sorely lacking in this area. I fall so short of the above list. Thank God for His mercy and forgiveness. My hubby and I aren't still together because our marriage has been easy breezy. We're together because we take our vows seriously, we want to please God, and ultimately we really do want to love each other. I can't say that the lovey dovey feelings are always front and center. Sometimes, it seems as though they've been misplaced, but we can't rely on our day to day feelings to tell us to love one another. Feelings are fickle. They come and go. I believe God's Word is reliable and by obeying His command to love one another, the feelings will eventually follow. But in the meantime, LOVE even if you don't feel like it. I am so thankful that my hubby has been faithful to love me through the worst of times and the best of times. 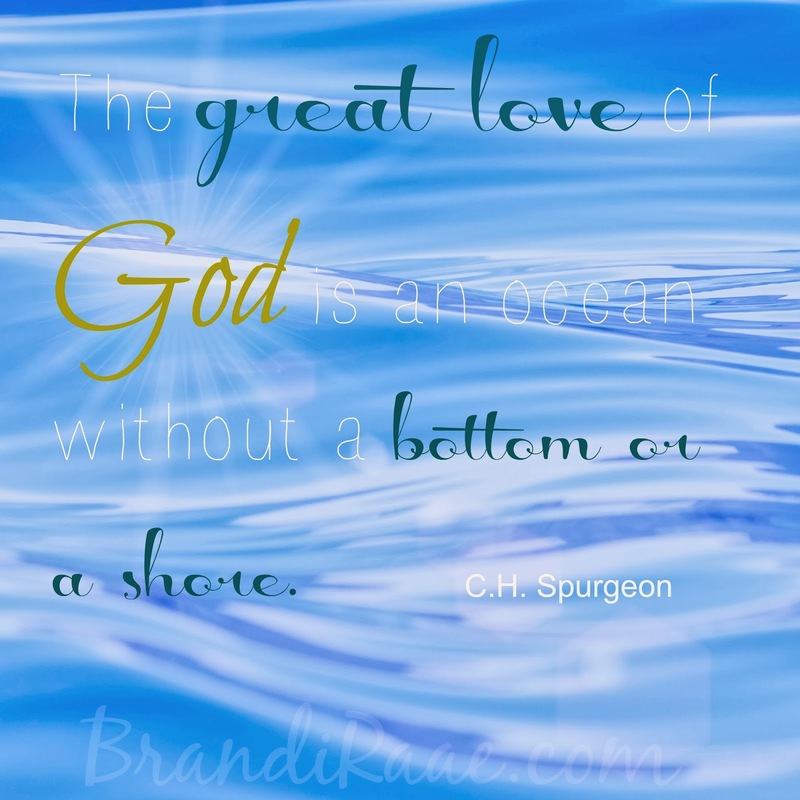 I am thankful that his first love is God, so that in turn he can truly love me. I am thankful that he chooses daily to continue this journey of life with me no matter where it leads. True love is exhausting at times, but I am so glad we've stayed the course and have been able to see the blessings and rewards of staying committed to each other. I love you, Babe. Happy Valentine's Day. P.S. And thanks for the beautiful, bright, sparkly flowers (that are dyed) that made my kitchen so cheerful this week! Oh, and for the yummy M&M's, too. What is included: a USB cable (nice and long), free software downloads for Ultra Analog Session, Lounge Lizard Session, Strum Acoustics Sessions, and Toontrack 64 so you can start making music right away. 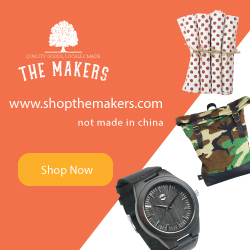 Also includes a coupon for Ableton Live. Specs: Available in black or white. Has 25 velocity sensitive keys, octave up and down shift buttons (provides full range of a normal piano), pitch up and down shift buttons, a modulation button, and a sustain button (the most unique and useful tool in my opinion). Personal Review: Korg always delivers high end, quality products, especially when it comes to midi controllers. But sometimes they can be a little pricey . . . that is not the case with the nanoKey 2! It costs around $50, so it can fit into nearly any budget! What surprised me most about the Korg nanoKey 2 was its size. Sure, I knew it was going to be small, but actually, it's width is smaller than that of my laptop, so it can easily fit onto any desk. Also, it slides into my backpack, so I can produce music when I'm over at my friends' houses. This midi controller is also super user friendly! No set up is required. You just plug in and play. If you don't already have a DAW or midi interface, it comes with some really cool and useful software you can download online. The nanoKey2 works with nearly any DAW or or software like ProTools, Reason, FL Studios and so forth. I, myself, use Mixcraft 6. The Octave shift buttons give the 25 key controller the full range of a normal piano, and the pitch bend and modulation buttons function exactly like pitch and modulation wheels. This midi controller also provides the option to sustain the notes you play by holding down a button like you would a sustain pedal on a full-sized piano. This function is very useful and unique in small midi controllers. Overall, for the price, size, and playability, I would definitely recommend investing in the Korg nanoKey 2! The Korg nanoKEY2 works for my son! Linked to WFMW. Need some Valentine inspiration? 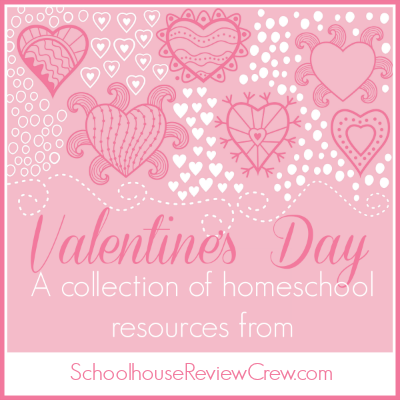 Well, I, along with other Schoolhouse Review Crew members, am participating in a Valentine's Day round-up for homeschool resources. 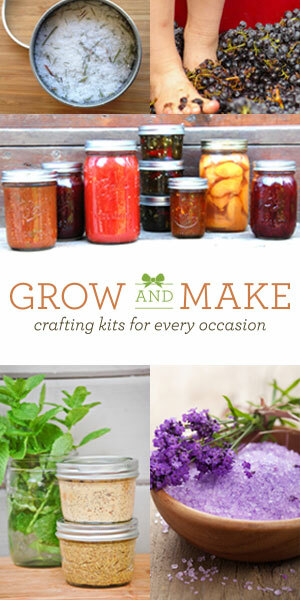 Stop by and take a look at all the wonderful ideas - the round-up will be live on February, 5. If you are searching for a Valentine project that will really WOW the world with your art talent, you might want to keep looking. However, if you are in pursuit of an easy, low stress art project that your elementary aged kids can do by themselves, you may want to stay tuned! Use your cutout to punch shapes in the paint chip or cardstock. Add letters and other stickers if you wish. You can also glue onto your bookmark the hearts that you cut out of the paint chips. Now my daughter has cute bookmarks (she made most of them) to use when she's reading her favorite series! I can't resist using a couple of them, too. My daughter also wants to give some to her friends at church. 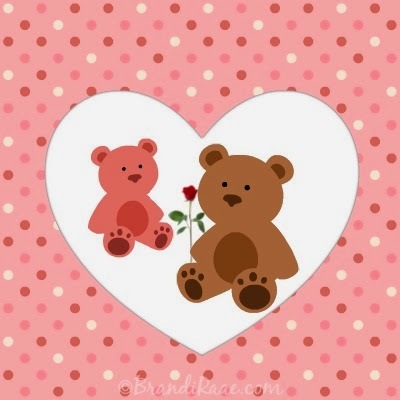 :) These bookmarks would make a great substitute for those little Valentine cards. 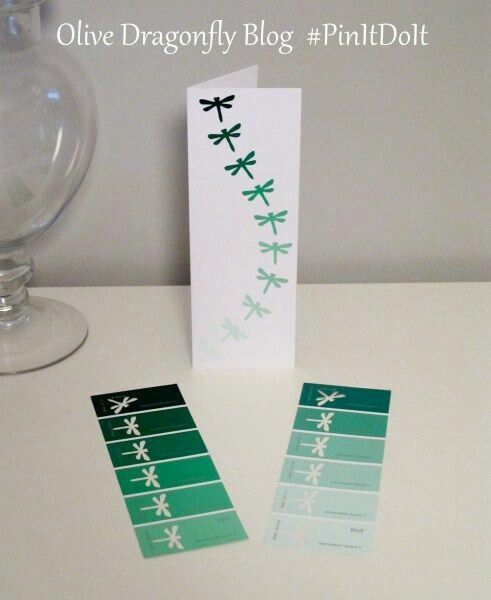 *Bookmark idea was inspired by this picture. If you want to make a fun meal with your kids on Valentine's Day, I recommend Taco Heart Ring. 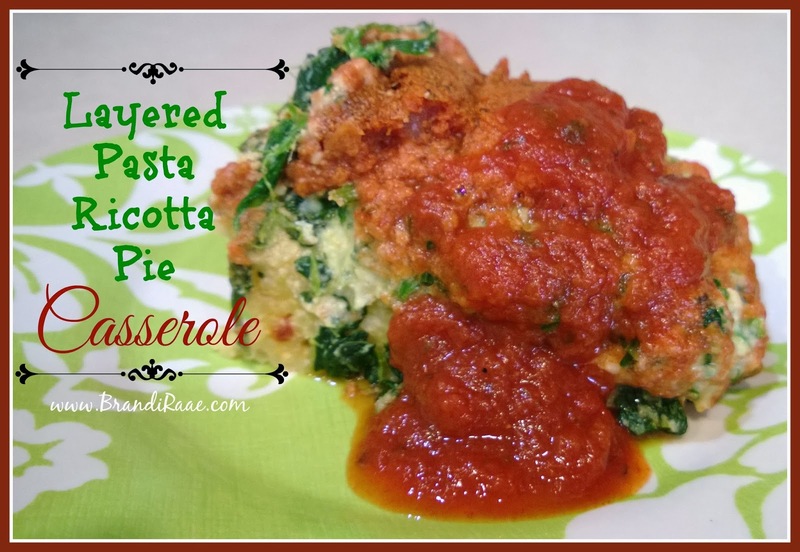 It's festive and fun and very yummy!